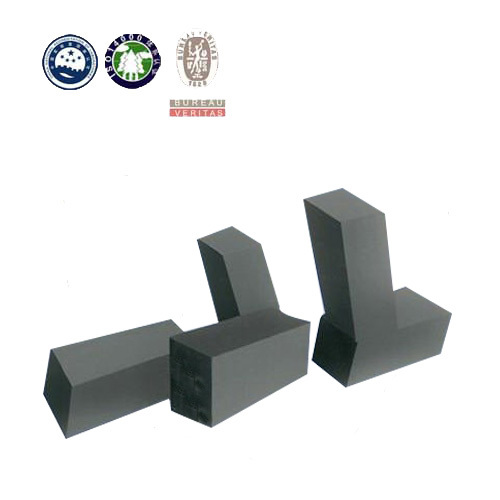 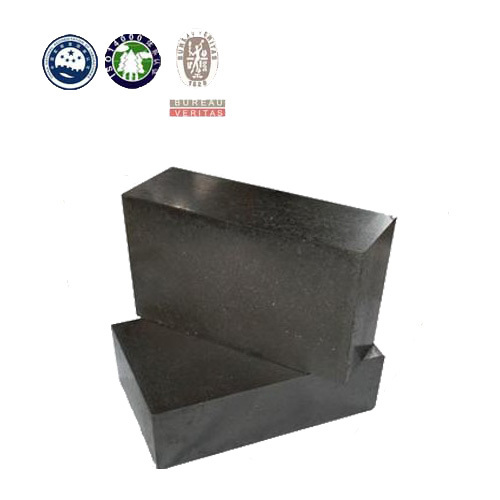 Al2O3-SiC-C brick, with corundum, bauxite, silicon carbide and graphite as raw materials, phonetic resin as binder, added with expansive agent and modifying agent, is characterized by good thermal shock resistance, good erosion resistance, and non-sticking slag. 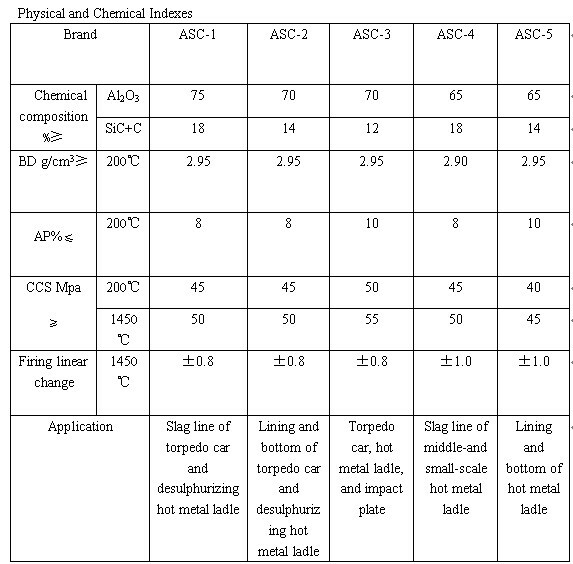 It is used for torpedo car and hot metal ladle, and can meet request of customers. 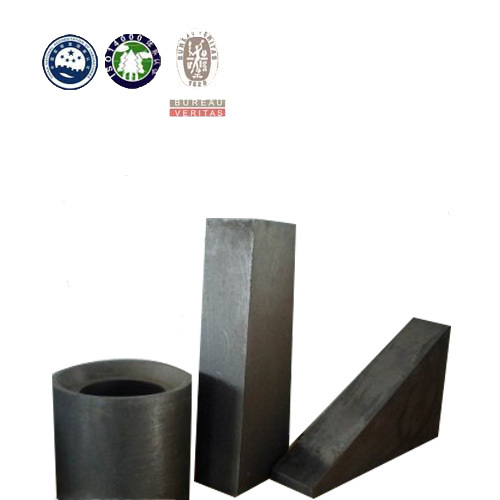 Good thermal shock resistance, slag corrosion resistance is strong, do not hang slag not sticky residue.